A routine training flight of a Lockheed PV-2 Harpoon ended badly when the plane splashed down into Lake Washington just off the end of the Sand Point Naval Air Station runway. The incident occurred on September 4th, 1947 and both members of the crew survived to fly another day. The aircraft itself sank rapidly, striking the bottom nose first, where it still stands today like a large lawn-dart in the bottom of Lake Washington. The front of the aircraft is well buried in the silty mud in about 140' of water, maybe a half-mile from the end of the runway. It must have been a very-short, very scary, flight! The signature twin tails and stabilizer of the Harpoon has broken off over time and is lying just off the tip of the Port wing. The dark, nearly black paint of the plane and the vertical orientation make this a difficult dive to get your bearings on. Several divers have returned from a dive on this magnificent wreck thoroughly confused about where they were and what they were looking at. The aircraft is still owned by the Navy, so removing anything from the wreck is a Federal Crime and the old patrol-bomber is somewhat fragile. Please be very careful when diving the Harpoon to use soft shot-line techniques. This is no place to be deploying the anchor from your boat. 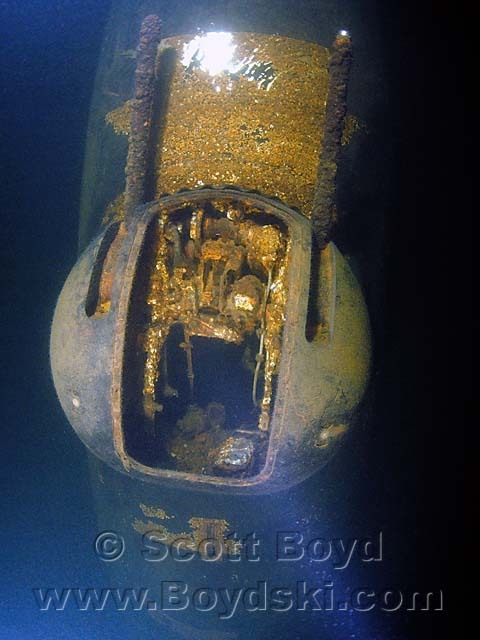 The most recognizable features of the wreck are the twin tails off to the side and two 50 caliber machine gun turrets on top of the fuselage. The wings span 75' and the body was 53' long prior to losing the tail section. The 140 depth of this wreck may make this dive more attractive to recreational divers than it should be. Lake Washington is very, very dark with extremely low visibility. 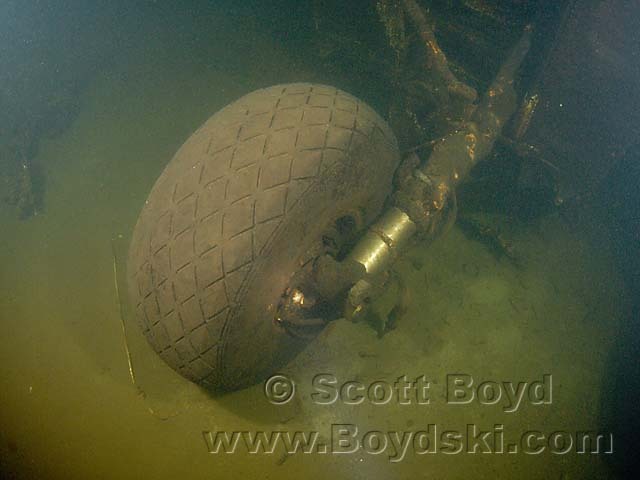 There is virtually no contrast between the soft, silt bottom, the water and the parts of the aircraft. 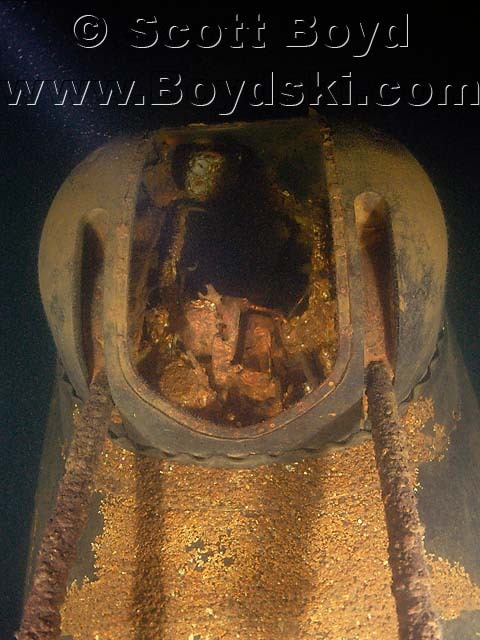 Be sure to start on the shallower wrecks in the lake and to gain plenty of experience before tackling the deep, dark wrecks at technical depths.